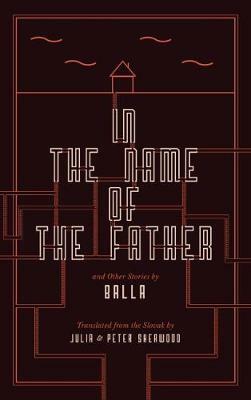 Balla is often described as "the Slovak Kafka" for his depictions of the absurd and the mundane. In the Name of the Father features a nameless narrator reflecting on his life, looking for someone else to blame for his failed relationship with his parents and two sons, his serial adultery, the breakup of his marriage and his wife's descent into madness. Against the backdrop of their stiflingly grey provincial lives, he completely fails to act against "the thing" growing in the cellar of the house he built with his brother. The book won numerous awards in Slovakia and in this edition is accompanied by three additional short stories, which share its unique dark humour, satire and truth.